"That dog is gonna be in aviators and a convertible by Thanksgiving." Former vice president Joe Biden and his wife Jill have an adorable new addition: a rescue dog named Major. The Bidens officially adopted Major from the Delaware Humane Association on Saturday after fostering him. Major came to the DHA as a puppy with his five siblings after the puppies encountered something toxic in their home, the group said. Their owners surrendered them to the group to save their lives. The puppies were saved, thanks to the work of a local veterinary emergency center. All six have been adopted. 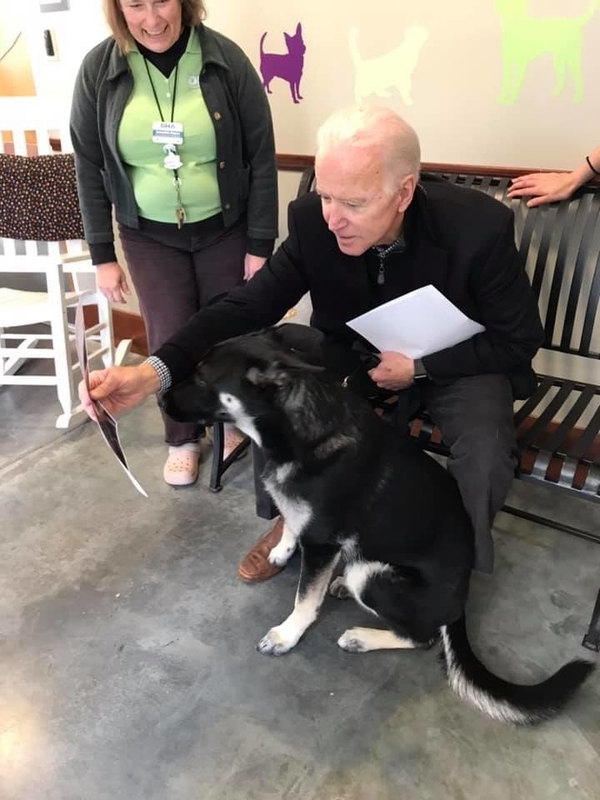 The group's executive director, Patrick Carroll, said it was an "honor" to help the former veep find his new family member. After a photo shoot with shelter staff, Major headed off to his forever home. Safe to say, Major already has a lot of fans online. Many people think he is the perfect companion for the former VP. Joe Biden and his new (very good) pup Major are like a top five humans-matching-their-dogs moment of all time. "Biden looks like he just realized that he adopted the canine version of himself," Franklin Leonard tweeted. "That dog is gonna be in aviators and a convertible by Thanksgiving," Leonard added. Oh my God Joe Biden adopted a rescue dog. And Obama's like "Damn I know that big goofy expression from somewhere..."
Others said it seems like Major is VERY happy to be a Biden. 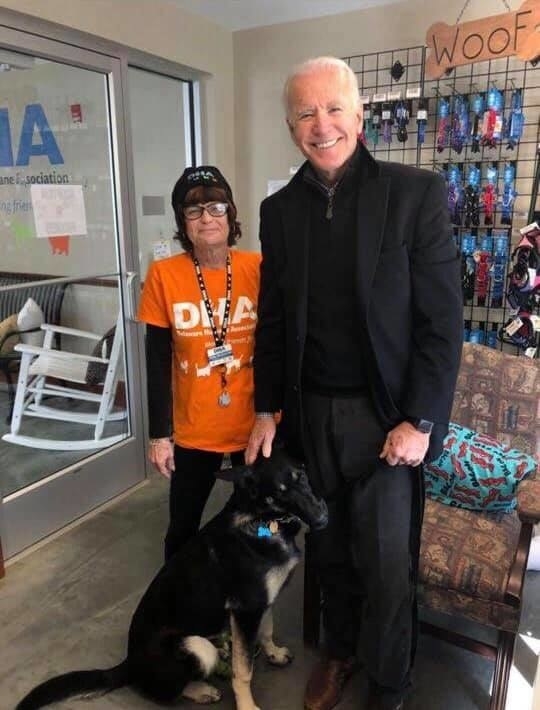 This dog getting adopted by Joe Biden is making the same face Leslie Knope made when she met Joe Biden.